Trees for Mum is a series of Mother’s Day memorial tree-planting events, originally created for members of the community whose mothers had passed away. The events have since evolved into celebratory tree planting events for all mothers and take place annually on Mother’s Day. 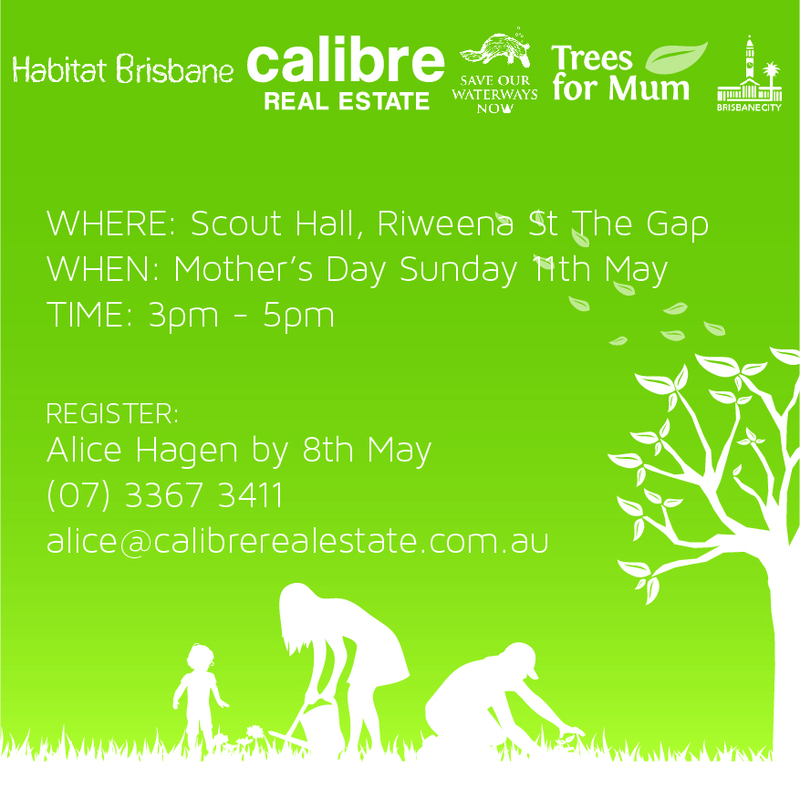 Brisbane City Council have donated native shrubs and trees for particpants to plant at the free event on Sunday. Please wear enclosed shoes and bring a hat, gloves, sun cream and water. We would love to see you there to supporting this great cause!